University of Notre Dame law professor Jimmy Gurulé, a terrorist financing expert, testified Thursday (June 23) before the Congressional Task Force to Investigate Terrorism Financing — part of the House Committee on Financial Services. Gurulé, also a former assistant U.S. attorney general and former undersecretary for enforcement for the U.S. Treasury Department, offered recommendations to enhance the U.S. government’s counterterrorist financing efforts, including sanctions on foreign companies that assist ISIS. As the 15-year anniversary of the 9/11 terrorist attacks that killed some 3,000 innocent civilians approaches, Gurulé told the committee, “It is imperative that the U.S. government continue to evaluate and enhance the effectiveness of such counterterrorism measures as curtailing terror financing in order to protect national security and save innocent lives.” Read full testimony here. “The Islamic State poses a unique terrorist financing challenge,” Gurulé said in his testimony. “While al-Qaida relied heavily on external donors for funding, the Islamic State is largely self-funded deriving its revenues from the sale of oil and gas, extortion and taxation, kidnap for ransom, looting banks, selling stolen antiquities, and human trafficking. As such, the strategy used to deprive al-Qaida of funding has proven less effective against the Islamic State. In 2014, Gurulé testified before the same House committee and appeared on Jake Tapper’s CNN show to discuss ISIS funding. 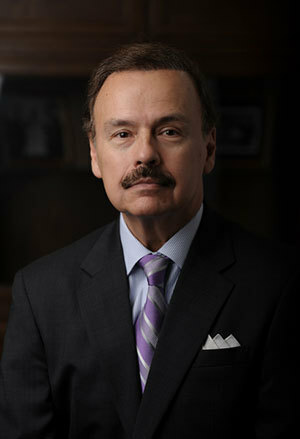 Since joining the Notre Dame Law School faculty in 1989, Gurulé has taken two significant leaves, one to serve as assistant U.S. attorney general and another to serve as undersecretary of the U.S. treasury department for enforcement. He was in the latter position when the 9/11 terrorist attacks occurred, after which he led a successful effort to block more than $125 million in assets belonging to suspected terrorist financiers. As undersecretary for enforcement, he also oversaw Customs, the Secret Service, and the Bureau of Alcohol, Tobacco and Firearms. Gurulé is an expert in complex criminal litigation, but his teaching and scholarship also concern criminal law, criminal and scientific evidence, and international criminal law. He has written and lectured on the problem of organized crime and has traveled extensively in eastern Europe to investigate and discuss the problems of organized crime in the countries of the former Soviet Union. He also helped train 20 Iraqi judges who presided over the trials of Saddam Hussein and other members of the overthrown Ba’athist government. Originally published by Shannon Roddel at news.nd.edu on June 23, 2016.